Comments: A. M. Smith (Nee: ) | Brnatford Ontario Canada | 1901-1920 | Comments: This group portrait of the officers and directors of the Ontario Fruit Growers' Association appears as frontispiece illustration to The Canadian Horticulturist, vol.24, no.2, February 1901. See that reference for more details. 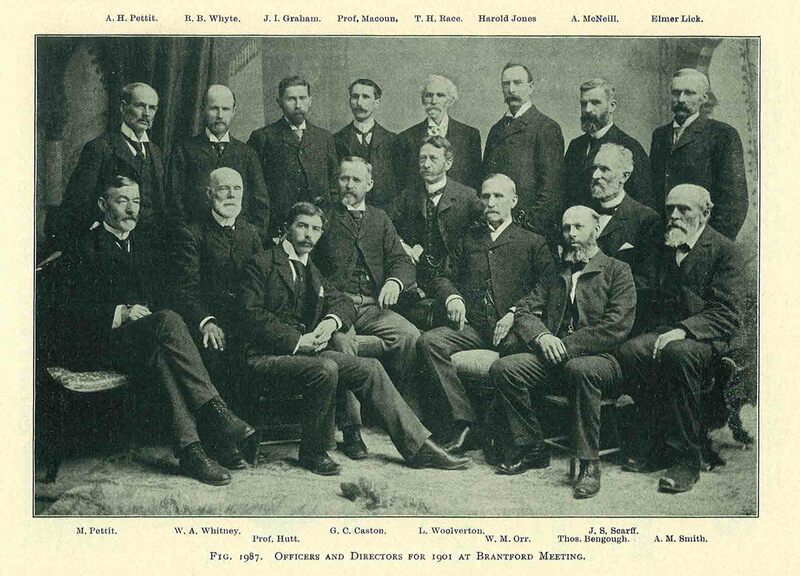 The photo was taken on the occasion of the association's meeting in Brantford in Canada in 1901. According to the article the photo was taken by Park & Co. of Brantford. That is all the information I have on this photo. I am not researching this group, just saw the photo and thought I'd post it.